One of the items on my “bucket list” is to visit every one of the United States. As an East Coast girl, it’s been fairly easy to make my way from the tip of Florida to the end of Maine as well as many of the states this side of the Mississippi River. Only in the last few years have I been able to expand my travel opportunities toward the west. Each time I’ve visited one of the Great Plains states or the Southwest, I’m struck by the vastness of this country. During a visit to South Dakota we drove pass several miles of sunflower fields. The sight of those gorgeous flowers remains with me to this day. 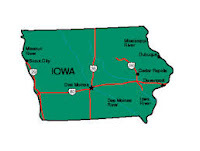 Iowa is one of the next states on my list. Part of the “Corn Belt,” they were an integral part of WWII in more areas than food production, however, farm production more than doubled from 1940 to 1945, with a value over $1.2 million. As with many states, Iowa factories converted from domestic products to war materiel, such as Solar Aircraft in Des Moines, John Deere in Ankeny, and the Army Ordnance Plant in West Burlington. As with all states, Iowa’s men and women served with distinction all over the globe. One of the most famous story about Iowan’s service men is that of the Sullivan brothers. 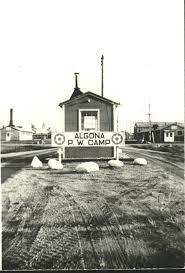 They enlisted with the caveat that they be allowed to serve together, and the Navy granted their request. Less than a year into the war, their ship, the USS Juneau was torpedoed, and all five were killed in action. Because of that incident, the Armed Forces instituted the “Sole Survivor” policy. 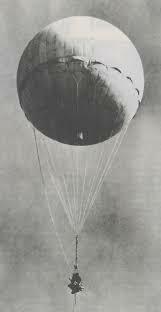 Toward the end of the war, Japan launched nearly 10,000 “Fu-Go” balloon bombs. The first weapon with intercontinental range, the hydrogen balloons were loaded with incendiary and antipersonnel bombs. Designed as an inexpensive weapon, each balloon was expected to travel along the jet stream from the Pacific Ocean and drop their bombs into America and Canada. Highly ineffective because of extreme weather conditions. Only 300 of the bombs were ever found to have reached their intended targets resulting in one incident that caused the deaths of six people who touched the balloon causing it to detonate. Have you visited this diverse and lush state?